方正, 张磊, 王玉琴, 黄雅琨, 徐静. 基于自回归GA-BP神经网络的AQI预测[J]. 环境监控与预警, 2019, 11(2): 22-25. FANG Zheng, ZHANG Lei, WANG Yu-qin, HUANG Ya-kun, XU Jing. An Autoregressive GA-BP Neural Network-based AQI Prediction[J]. Environmental Monitoring and Forewarning, 2019, 11(2): 22-25. Abstract: Based on the daily average of air quality index in Xuzhou from December 2013 to November 2018, this paper established a GA-BP neural network model with autoregressive input of time series for air quality index prediction. 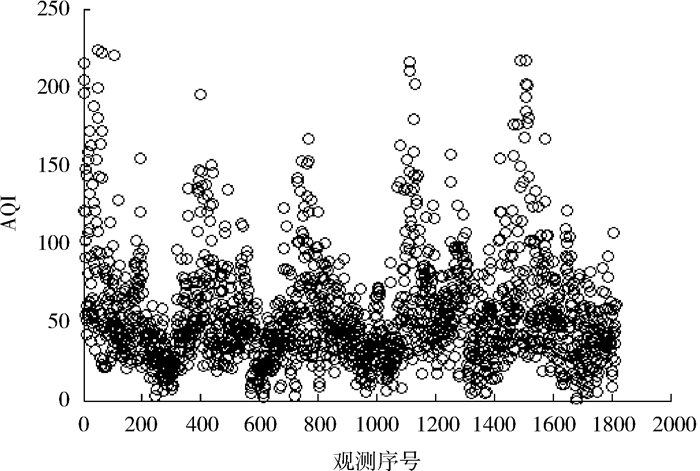 The experimental results showed that the established network model could accurately predict the change trend of Xuzhou air quality index. 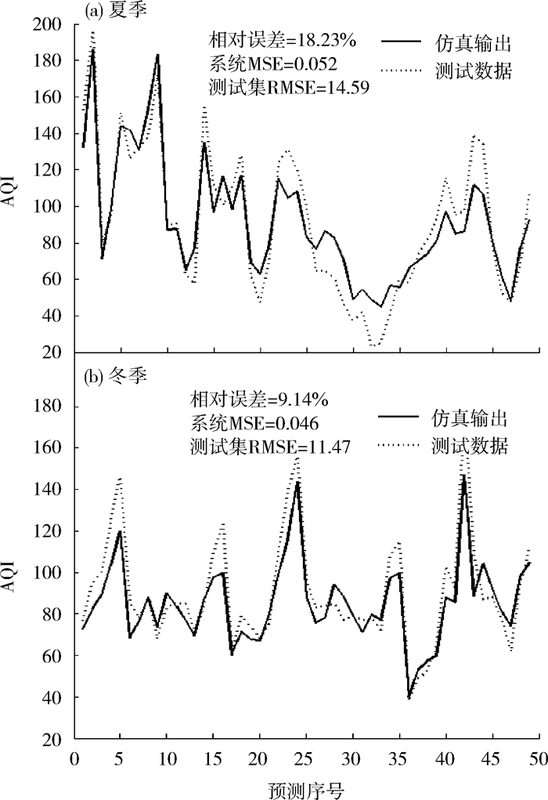 The relative error of summer forecast was 18.23%, the simulation RMSE was 14.59, the winter forecast relative error was 9.14%, and the simulation RMSE was 11.47. 高帅, 胡红萍, 李洋, 等. 基于MFO-SVM的空气质量指数预测[J]. 中北大学学报(自然科学版), 2018, 39(4): 372-379. 张梦瑶, 黄恒君. 基于改进加权马尔科夫链的兰州市空气质量预测[J]. 兰州财经大学学报(自然科学版), 2018, 34(3): 111-117. 李博群, 贾政权, 刘利平. 基于模糊时间序列的空气质量指数预测[J]. 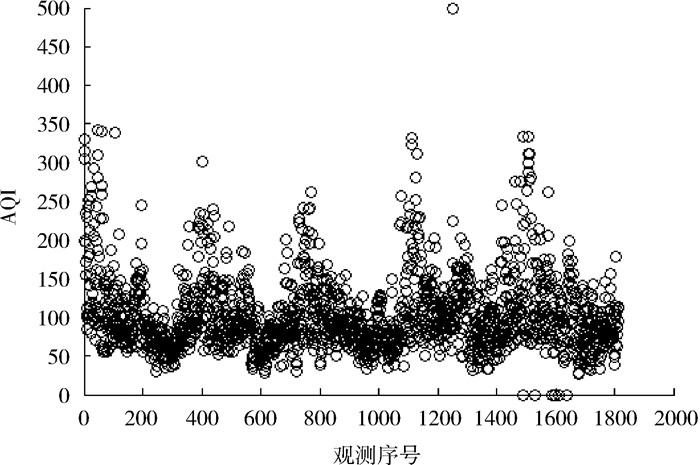 华北理工大学学报(自然科学版), 2018, 40(3): 79-86. 姚清晨, 张红. 基于小波分析的太原市空气质量变化特征及预测[J]. 山西大学学报(自然科学版), 2019, 42(1): 265-274. 姜新华, 薛河儒, 张存厚, 等. 基于主成分分析的呼和浩特市空气质量影响因素研究[J]. 安全与环境工程, 2016, 23(1): 75-79. 张鹏达. 基于BP神经网络的城市环境空气质量预测模型[J]. 自动化技术与应用, 2014, 33(1): 9-11. Environmental Monitoring and Forewarning, 2019, 11(2): 22-25.